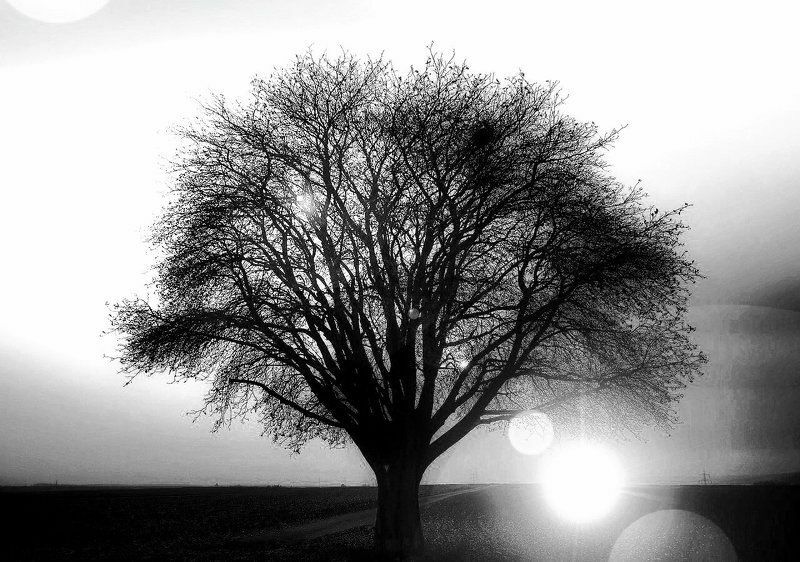 This tree just placed itself for a nice sunrise in black and white. 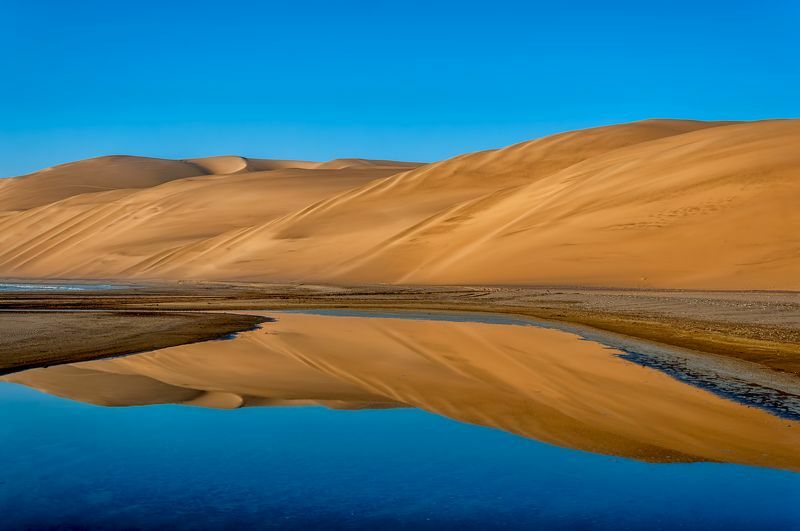 A perfect reflection of the dunes at a place called "Afklimbaai" at the Namibian coast. 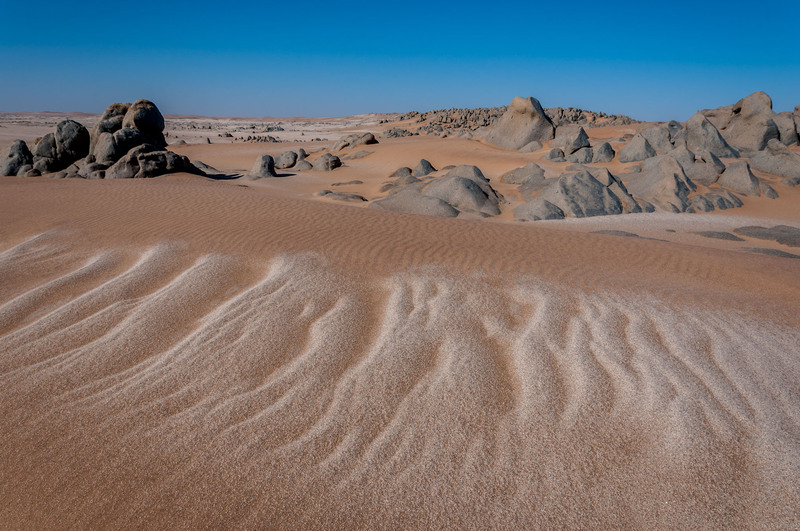 This landscape photo was taken in the Namib desert of Namibia and close to the coast in the former diamond area between Walvis Bay and Luderitz.